Since I have half day stopover in Dubai, I want to go out of the airport and buy some food souvenir for my family. Date is common Arabic sweet but I am not interested in, similarly I don’t interested in candy like chocolate. May anyone advice non-candy and non-sweet Arabic food suitable for souvenir purchasable? And where can I buy in Dubai? I thought I would complement this answer that is already quite good! 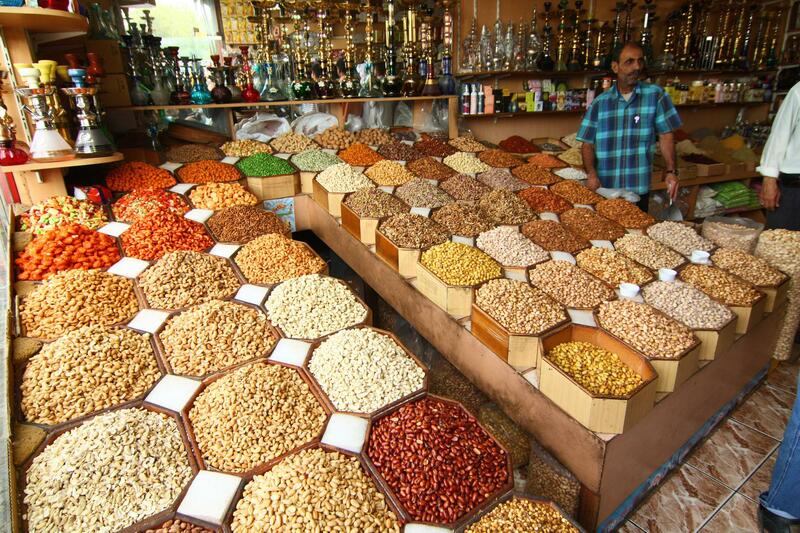 The Deira Spice Souk is obviously an inescapable area in Dubai. You'll find there all you need to cook almost anything. Then, as you said in your original message, dates are really good there. Another thing that is typical of the area is the honey and especially the Yemeni honey. You can find some in Dubai Mall and I am sure you'll be delighted with it. It is among the best (and also most expensive) around the world. The taste is pretty strong and it is well known to have a lot of benefits for the healthcare. You can find more details about Dubai souvenirs in this post. I found the Deira Spice Souk very interesting. It's an easy metro ride from the airport. I considered picking up some gifts there for family, but ended up not doing so. If you have cooks in your family they might appreciate some of the unique spices offered here. Not the answer you're looking for? Browse other questions tagged food-and-drink dubai uae dxb souvenirs or ask your own question. How to travel with a (small) child in Vietnam? Do I need a transit visa for a stopover in Dubai for less than 8 hours en route to Australia? Souvenir shops at Heydar Aliyev (Baku) airport?